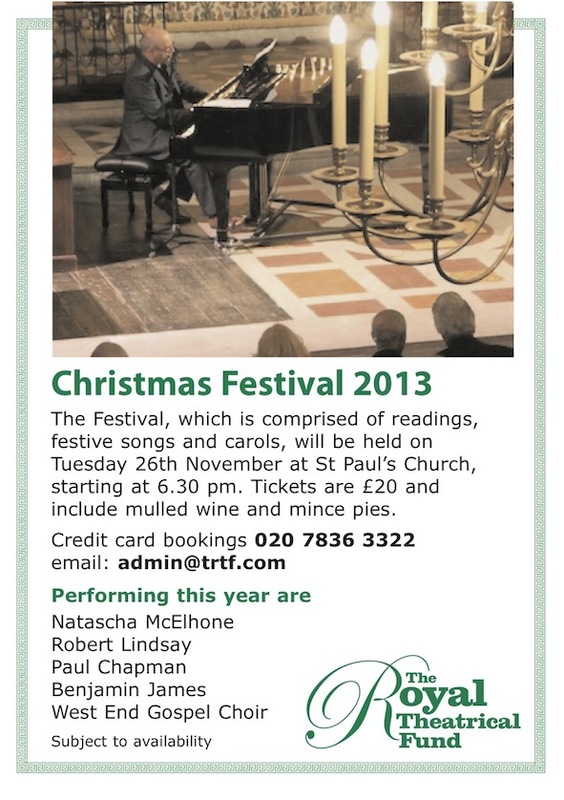 Tickets are now on sale for the Royal Theatrical Fund’s annual Christmas Festival at St Paul’s Church on the 26th November. The evening involves songs and celebrity readings and is great way to start the Christmas season. Tickets are £20 and to book by credit or debit card, please by call 020 7836 3322. Newer:ONE NIGHT ONLY at The Ivy Club. Raised £56,000Older:George Long, beneficiary of Acting for Others.